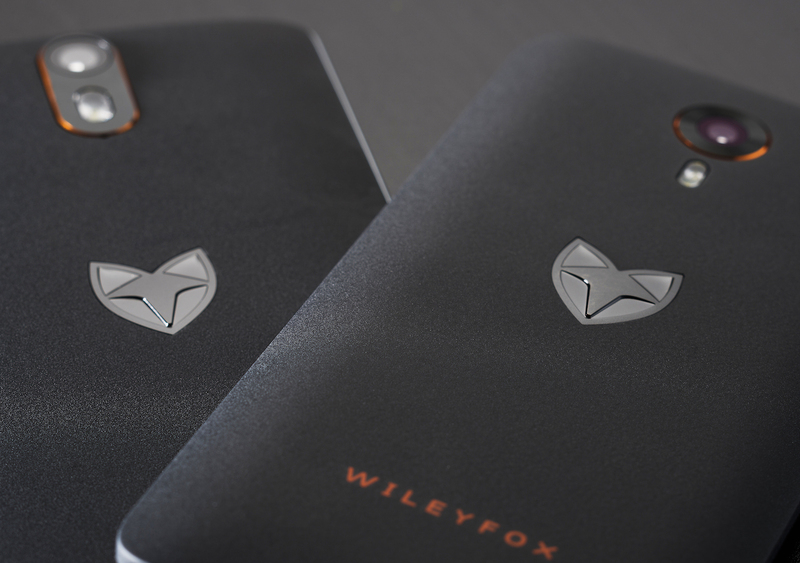 Wileyfox isn't a smartphone brand you've heard of before. They're an entirely new player from the UK hoping to muscle into the already packed Android market with, you've guessed it, smartphones that combine "good enough" specs with surprisingly competitive price tags. The company is announcing two phones today, the Storm and the Swift, which run the Cyanogen flavour of Android in sleek, but not particularly adventurous packages. The £199 Storm is the more premium of the two, boasting a 5-inch 1080p display, a Snapdragon 615 processor, 3GB of RAM and 32GB of storage. In the camera department, you'll find a 20-megapixel camera on the back and an 8-megapixel version up front. The £129 Swift, meanwhile, is as an even more wallet-friendly affair. The resolution of the 5-inch display is slightly lower, and it runs on a less powerful Snapdragon 410 processor and 2GB of RAM. There's 16GB of onboard storage and, like the Storm, it comes with a microSD slot that supports up to 32GB cards. Finally, there's a 13-megapixel rear-facing camera and a 5-megapixel selfie snapper to round out its cheap, but surprisingly cheerful spec sheet. Pre-orders for both should be opening this week -- Wileyfox says its cheaper Storm handset will ship in early September before its beefier Swift sibling arrives in October. The company's approach reminds us of OnePlus. Wileyfox isn't promoting any "flagship killers" here, but they're operating on the same model of low margins and a "pure" user experience. There's no bloatware here or unwanted services to increase the company's profits -- it's a small venture that hopes to win consumers hearts before lining its own pockets. Even with this strategy though, Wileyfox has a mountain to climb. Motorola's Moto E and Moto G have smashed expectations for low and mid-tier smartphones, but even they face competition from Huawei's Honor line and own-brand phones by EE and Vodafone. Cyanogen OS is a clean, customisation-friendly version of Android, but the company has a lot of work to do to sway consumers from the more trusted smartphone brands.